One of the most important things to do when you’re trying to sell a real estate property is to make sure that it’s in a condition that will thoroughly convince buyers that it’s of good value and definitely worth their investment. This is why staging is so important prior to an open house – it’s the perfect opportunity to set a good impression. Thorough cleaning is an effort that needs to be made prior to showing the property because you can trust buyers to be on full alert the moment they step into the property. They will run their fingers through everything, and any funky scents wafting in the air will instantly turn them off — and speaking of funky scents, do you know where they stick to? The carpet, the upholstery, and the drapes! Vacuum all you want or air out your home; those will surely help. 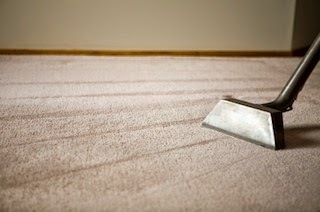 But if you want to be completely secure that your home smells and looks really clean, you can hireI Clean Carpets &Windows — they are the professionals that get the job done. Not only will they “clean and clear” the air, but their brand of cleaning will also get rid of allergens in your home that some buyers may be sensitive to. Also, for open houses, shades and blinds are typically left open to let natural light in and present the idea of being “eco-friendly.” Therefore, it’s a strong must to keep the windows clean inside and out. I Clean Carpets &Windows will do a fine job of it, so even if you do not turn on the lights, the property will still be well-lit; plus, really clean windows can contribute to the overall aesthetics of the property. So if you want a quick property sale, prep for the ocular inspection of buyers. A thorough cleaning will surely increase the property’s appeal and potential for a quick, profitable sale.